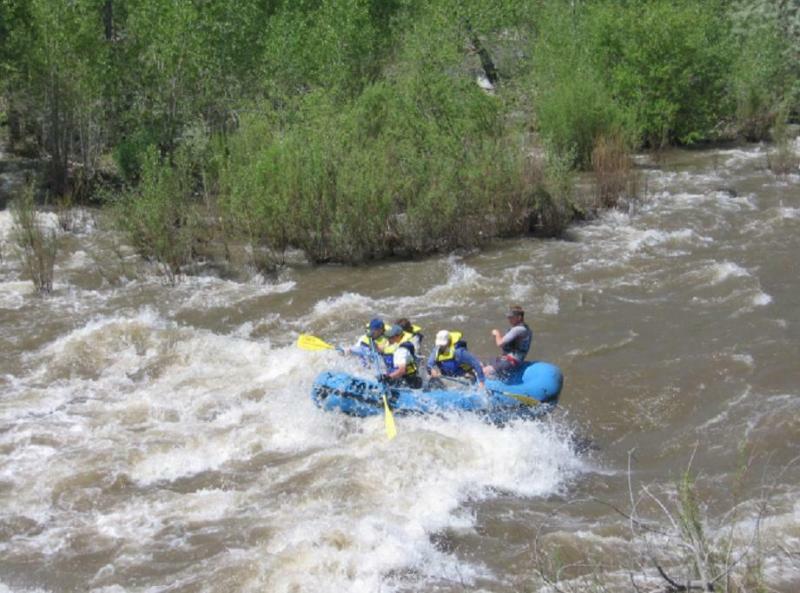 Work on a 14-mile Carson River rafting route is moving forward with park improvements and trail details. 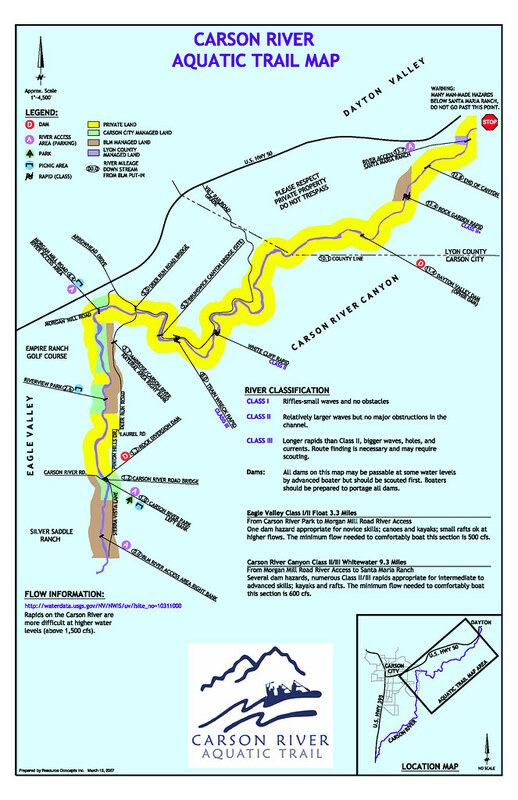 The map of the Carson City Aquatic Trail has been released and two city parks along the route running from the Silver Saddle Ranch in Carson to the Santa Maria Ranch in Dayton would get upgrades under city parks department plans. I’ve written about this Aquatic Trail before; it’s basically an effort to clean up the river and remove obstacles so it’s safer for rafters and kayakers. The final map of the new river, including new put-in and take-out areas, has been released. A high-res version of the map can be had at Flickr.com.